Learn how to protect your family and community. Download your toolkit TODAY! 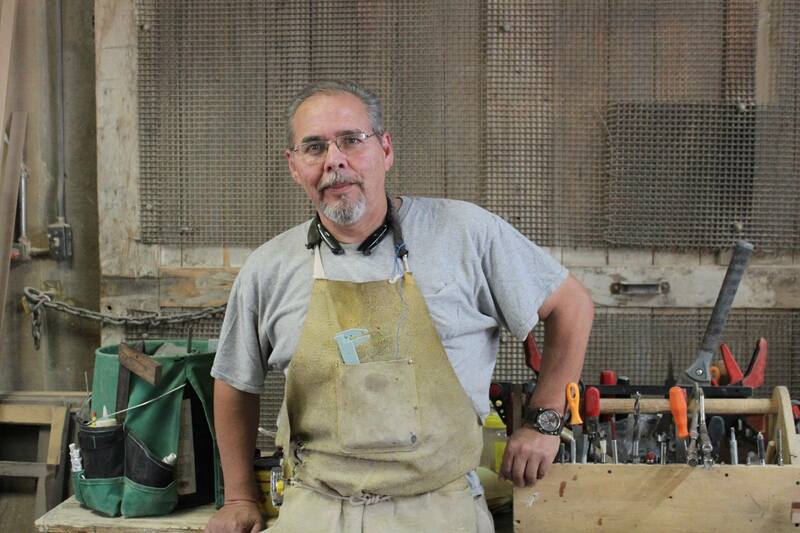 Learn how we work to uphold the civil rights or our community. 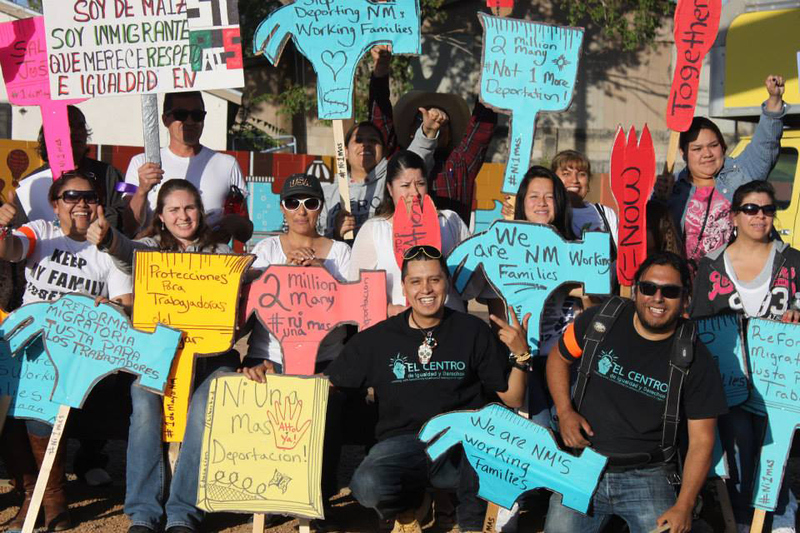 Learn about how we organize to improve conditions and the economic security of low-wage workers in Albuquerque. 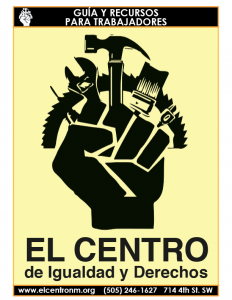 El CENTRO is a grassroots, Latino immigrant-led organization based in Central New Mexico that works with Latino immigrant communities and allies to defend, strengthen, and advance the rights of our community. 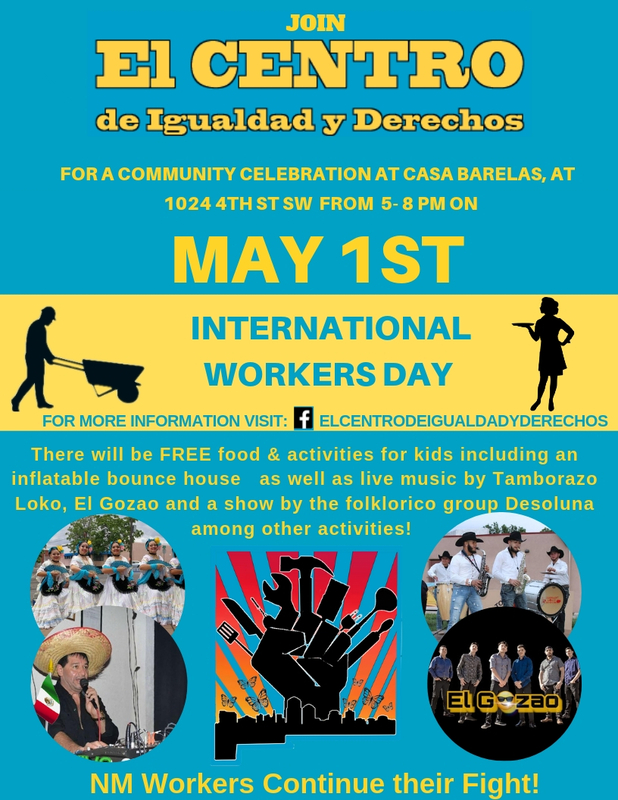 To buy space for the may day event click here! 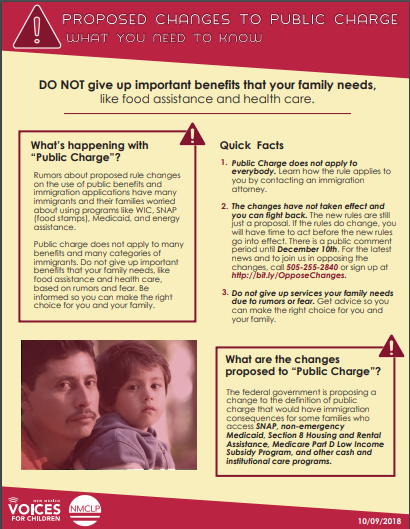 Proposed changes to public charge: what you need to know. Click here to learn more about Trump’s proposed anti-immigrant rules on “Public Charge” and public benefits. The rules have NOT been implemented yet, and our communities are fighting back. Don’t take your family off of vital public benefits without informing yourself. Click here to read the resolution. Tuesday, April 24, 2018 was a historic day for our working families in Albuquerque. 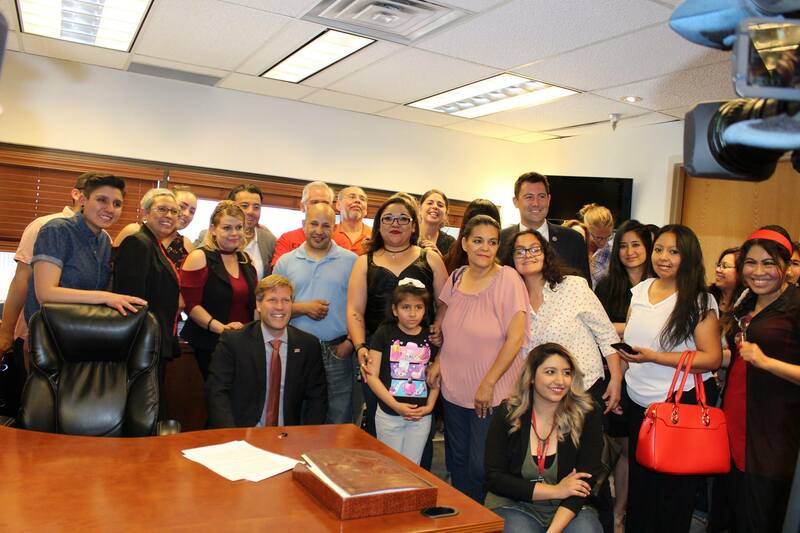 Our Mayor Tim Keller supported our communities by signing Resolution 18-7 to strengthen the status of Albuquerque as an immigrant-friendly city. We will continue to work with elected officials to ensure that our communities are represented. La lucha sigue! ATTENTION employers and workers: How to prepare for I-9 inspections with ICE if ICE comes to your job. 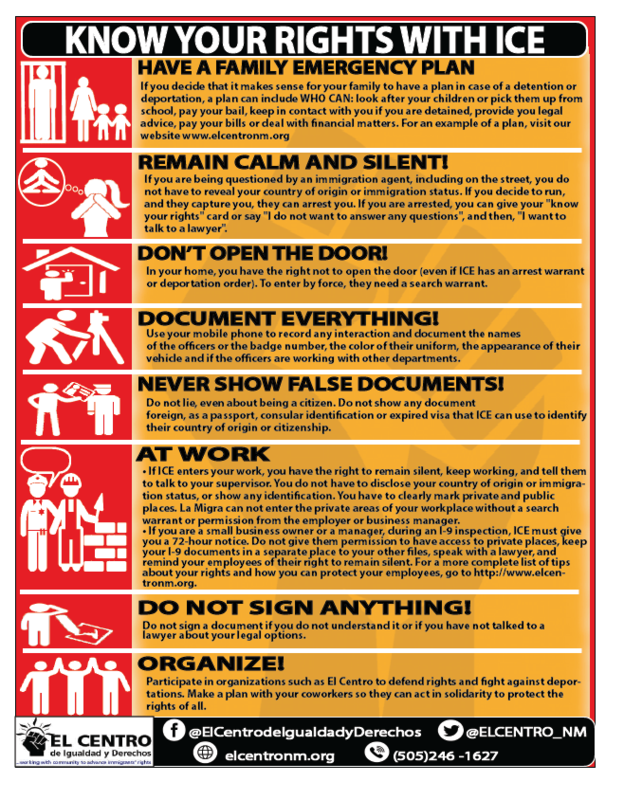 Click here to read the toolkit for employers and employees put together by the National Employment Law Project and the National Immigration Law Center on how to prepare for I-9 inspections and if ICE arrives at your work. El CENTRO has prepared the following toolkit in collaboration with other organizations across the state and that nation. 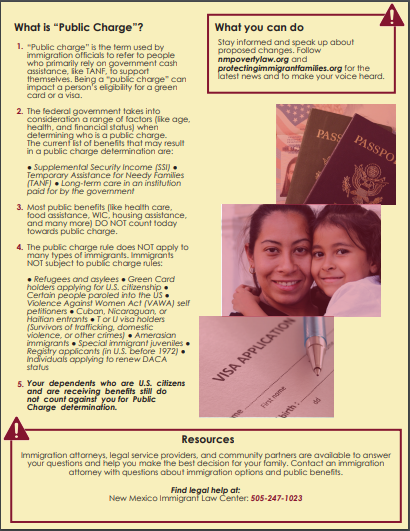 This toolkit package includes know-your-rights information, family emergency plan form, power of attorney, and “rights cards.” Now more than ever, it is important to KNOW YOUR RIGHTS in order to continue protecting our families and communities. 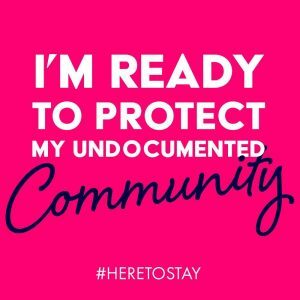 Please, refer to the following link for resources and information in New Mexico: http://nmilc.org/daca. Also! 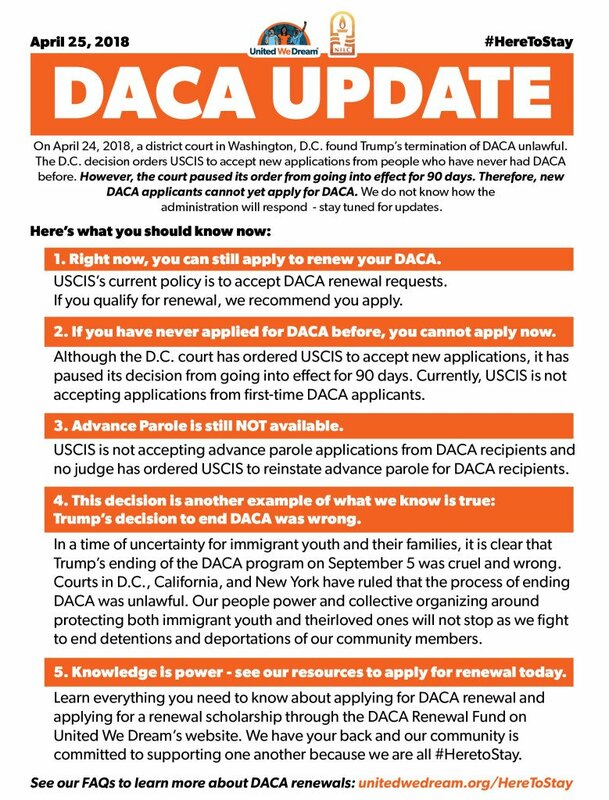 check this document that explains your rights and next possible steps if you were elegible for DACA or a DACA beneficiary. 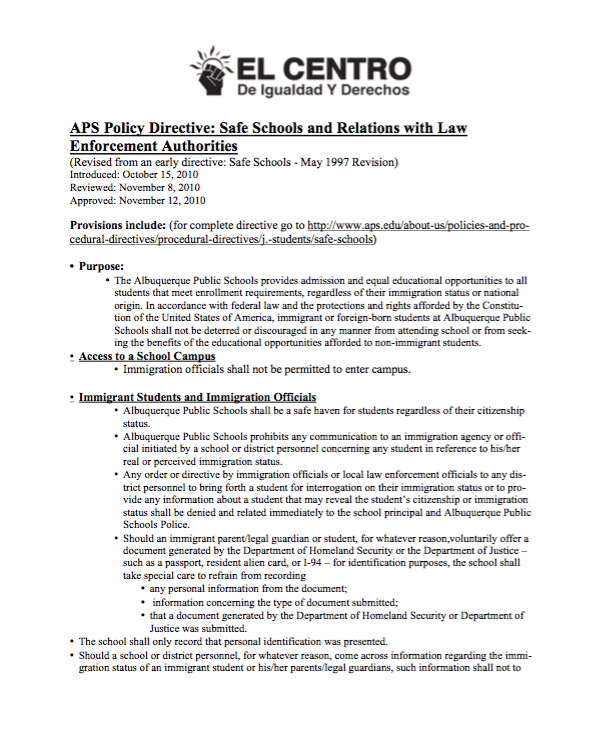 Did you know APS has policies and procedural directives to protect APS students and their families? El CENTRO put a detailed summary of APS official policies and procedures with links to the official documents on the APS website. Download our new toolkit full of information and resources so that you learn your rights as a worker regardless of your immigration status. 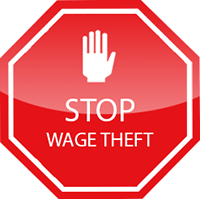 Know your protections so you can report some type of work abuse and to help fight against theft of wages. Click on the image or on the title to download the guide and remember to share this information with more people. 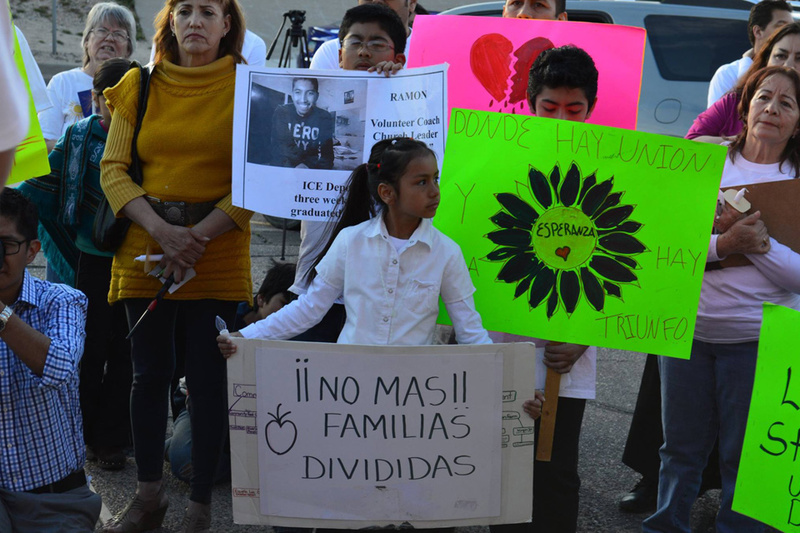 El CENTRO has worked to mitigate the impact of the broken immigration system by successfully passing policies to ensure that local law enforcement does not overstep its authority and enforce federal immigration laws. As a key partner in the NM Minimum Wage Coalition, we have worked to raise the minimum wage at the state level as well as in Albuquerque and Bernalillo County. 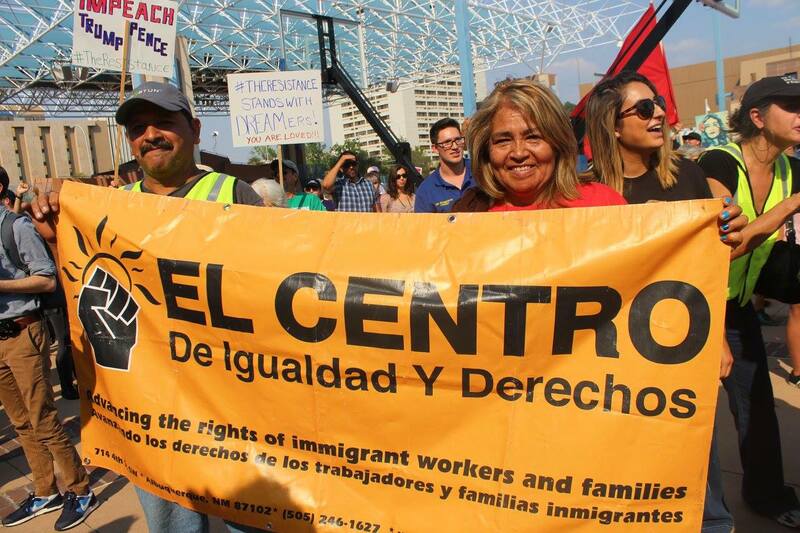 El CENTRO has been at the the forefront of campaigns in Albuquerque and Bernalillo County to fight back against immigration enforcement programs and protect our communities. We drastically lowered the number of deportations in Albuquerque by working to modify policies at the Metropolitan Detention Center to minimize entanglement with Immigration and Customs Enforcement (ICE). Although we are proud of our accomplishments, together we can so much more! Donate today and become a member to continue to build upon our proud legacy of passing model policies and integrating immigrants into the mainstream.